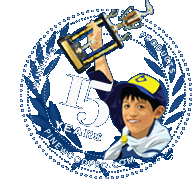 Pinewood Pro Engineers designed their Winning Pinewood Derby Speed secrets into the PRO Brick Wheel Assembly so your car reaches maximum speed...from start to finish. "Excellent. We used the Pro Brick Assemblies on recruitment night and could not get the kids to stop racing! We will be using these multiple times throughout the year"
To create a LEGO Derby Car, just snap on four PRO Brick Wheel Assemblies and you are off to the races! The PRO Brick Wheel Assembly was designed for Speed and Flexibility. Nickel plated PRO Axles minimizes friction. Less Friction = More Speed. PRO Brick snaps perfectly onto any standard LEGO part. Wheels, Axles and PRO Brick are pre-assembled. Each PRO Wheel Assembly weighs only .11oz (3.15g). Less weight = more LEGO parts on your car. Each wheel assembly is separate so you can place them anywhere on your car. Flexibility increases creativity and experimentation. You CAN NOT use these wheels on a BSA Cub Scout pinewood derby car because they are not Official BSA Wheels and Axles. They are for LEGO Derby cars only. Images of Zinc Weights, LEGO plates and fully built LEGO derby car are for illustration purposes only. These parts are sold separately. To add weight to your LEGO Derby Car, use the Zinc Brick. More weight, more inertia, faster finish! What is LEGO Derby Racing? LEGO is a trademark of the LEGO Group, which does not authorize, sponsor or endorse this site.